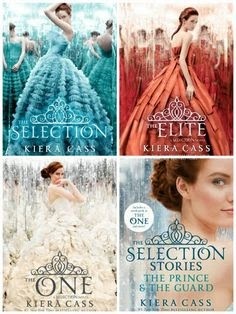 This summer the girls and I have been reading The Selection series by Kiera Cass together. It has been fun to read with my teenage girls. It is a bit of the Bachelorette mixed with Hunger Games... without the killing and gore (which is what I love!) It is a cute story about a girl going from a lower caste (level in society) to a life in the castle, competing to become the next Princess. There is also a love triangle between America (a girl who is in "the selection" to be a princess), Aspen (a guard) and Maxon (a prince). Normally love triangles are frustrating but this one is so cute and fun you can't help but read ALL THREE books! I wonder, who do you love... Prince Maxon or Aspen? Comment and tell me why!